As the Portland Press Herald is reporting, Maine has 45 days to respond to the letter, else risk losing 50% of the funding that helps cover SNAP (Supplemental Nutrition Assistance Program) administrative costs. “Since Maine has represented to (the USDA) that the state’s EBT photo program is optional, the state must affirmatively demonstrate that SNAP clients have a choice whether to have a photo on their EBT card and their choice does not adversely affect their SNAP eligibility,” Kurt Messner, administrator for the USDA’s Northeast Region, wrote in the letter dated Thursday. Messner went on to say that “there are significant civil rights concerns about the state’s practice of taking photos of all non-applicant household members.” The practice, according to Messner, may represent a violation of Title VI of the Civil Rights Act of 1964. “Any individual who applies for SNAP on behalf of eligible household members must be able to access the program without fear,” Messner wrote. A few weeks ago, DHHS officials provided case workers the following instructions regarding the photo ID EBT card changes the LePage administration was making. Two men from South Thomaston were arrested last week for trafficking bath salts. Drug enforcement agents seized three handguns, $25,000 in cash and—yes, you guessed it—seven EBT cards. Gov. 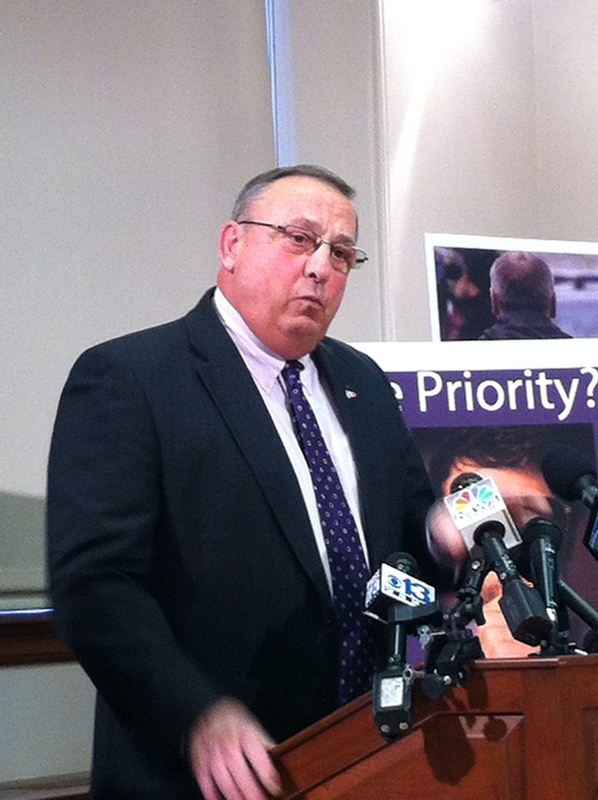 Paul LePage discusses his EBT/ TANF reform bills LDs 1815, 1820, 1822 and 1842 at a press conference. The drug dealer admitted that the seven EBT cards were given to him as payment for the drugs. Bath salts contain very dangerous synthetic stimulants. They result in overdoses, hallucinations and even death. It’s bad enough that some people will pay for these drugs, but it is even worse when taxpayer dollars are used to pay for them. This drug bust, along with several others, shows EBT cards are being used to support criminal behavior invading our state. I had a plan that added 14 agents to fight drug crime, but liberal politicians rejected it. Democrats couldn’t even say yes, when I found the money for a compromise package with fewer drug agents, judges, prosecutors and supported an additional $750,000 for substance abuse treatment. Instead, liberal politicians swept the bill under the rug killing the compromise in the middle of the night. Despite all evidence, including major drug busts day after day, Democrats refuse to address drug crime in our State. These same liberal politicians also believe that a certain level of EBT fraud is acceptable. I don’t think any level of EBT fraud is acceptable, and I know you don’t either. Using an EBT card to buy drugs means a needy child, elderly or disabled person is not getting their benefits. That’s why we are moving ahead with our plan to put photos on all EBT cards. 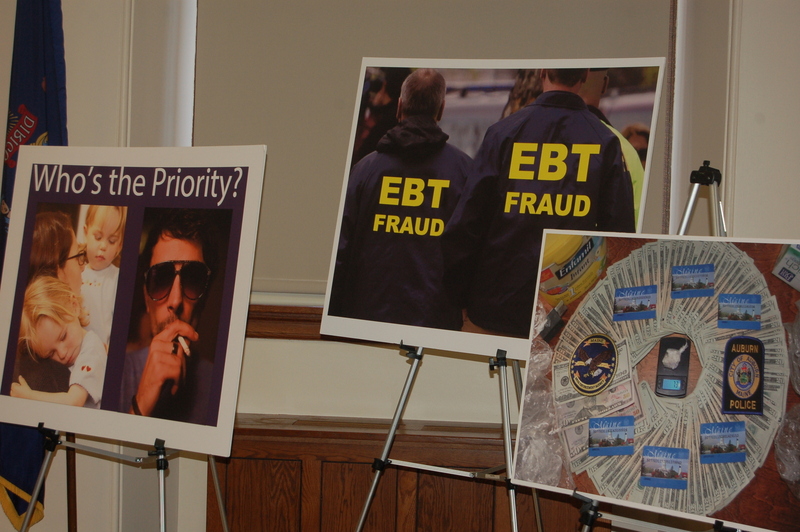 It will not stop all EBT fraud, but it will make it easier to identify who is abusing these cards. It puts those who would abuse EBT cards on notice that the state is holding them accountable. To test the plan to put photos on EBT cards, the Department of Health and Human Services ran a pilot project in its Bangor office. DHHS studied the mistakes other states made to ensure they did it right. The pilot program ran for two months and was very successful. We are now implementing the program statewide. The new card not only features a photo, but it also clearly states that misuse of the EBT card is considered a crime. Photos on the new EBT cards will help DHHS verify the identity of the card holder. The photos will be helpful in cases where EBT cards are sold for cash or drugs. They will also help determine who is the rightful owner of a card when multiple EBT cards are found on an individual. There are about 223,000 EBT cards in Maine. These cards are loaded with benefits such as food stamps, Temporary Assistance for Needy Families and other welfare benefits. 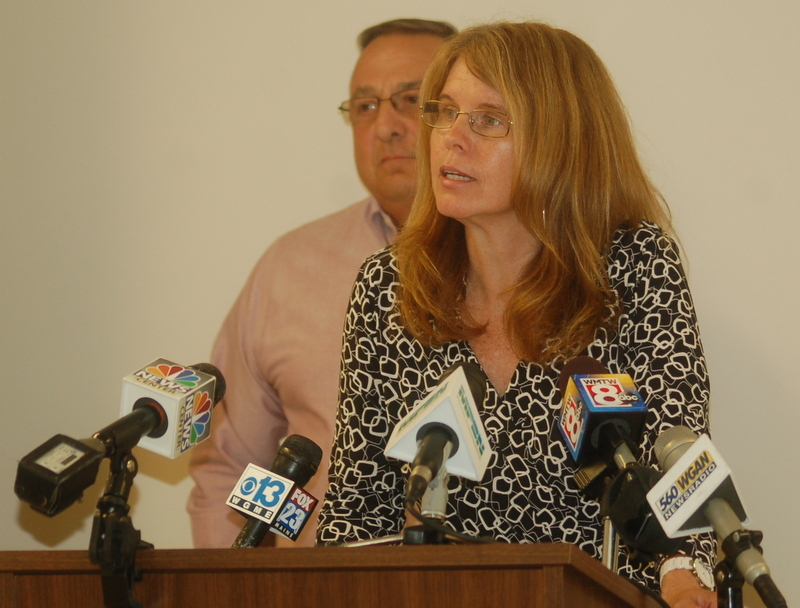 Over the last 12 months, more than $383 million in benefits have been put on Maine EBT cards. Even if just one percent is wasted or abused, that’s almost 4 million dollars. Wasting 4 million dollars of taxpayer money may be okay to liberals in Maine and Washington, D.C., but it’s not okay with me. While I am your Governor, I won’t tolerate one dollar of waste, fraud or abuse. I believe it’s government’s responsibility to ensure your taxpayer dollars are spent wisely. That’s why my administration will keep moving forward to protect taxpayer dollars and the benefits that are truly needed by our most vulnerable citizens. The best anti-crime program is a job. That’s something we should all agree on. Reducing the need for welfare is also best accomplished by growing jobs. Real jobs with real wages. 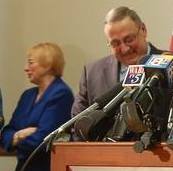 The problem for Governor Paul LePage is that he’s failed to live up to his own promises! Good morning. I’m Representative Mark Dion of Portland, former sheriff of Cumberland County. And thank you for tuning in. The governor is reaching into the same old bag of scapegoat politics to once again distract Maine people from his poor performance on jobs and the economy. You probably just heard the governor use his radio address to announce he’ll finally enforce a law to drug test convicted drug felons whose families rely on TANF. He probably doesn’t want you to know that many of these felons were guilty of possessing only small amounts of drugs and not members of some massive drug trafficking cartel. But facts like these destroy the distraction he’s trying to create. The TANF law has been on the books for three years. Three years with no action by the governor’s administration. But this isn’t really about fixing a problem. It’s about finding someone to blame. When it comes to scapegoating public assistance, the governor’s never been concerned that his decrees are only loosely connected to the facts. So why wait until an election year to make these executive decisions? The governor’s record on the economy makes the answer all too clear. Maine has been scraping along the bottom with each new set of economic figures. We’ve recovered only 63 percent of the jobs lost in the recession. The nation as a whole and New England as a region have recovered all their lost jobs – and added even more on top of that. Employment levels for Mainers of prime working age have not improved since the recession. And earlier this week, Business Insider ranked Maine as the nation’s 47th slowest economy. The governor’s strategic response to this sorry financial evaluation? Drug testing. C’mon, Governor. 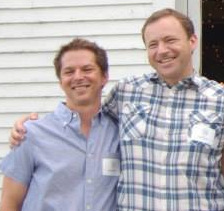 We both know Maine’s economy deserves a better solution than that. After all, you’ve never missed an opportunity to tout your business savvy. But an economic turnaround requires more than running over families struggling with addiction and unemployment. Maine deserves better than that! Maine needs a leader who promotes opportunity and works for solutions – solutions like workforce training, college affordability and support for small business innovators. We need a leader to move our economy, boost our middle class and who knows that being poor is not a crime. We need an effective CEO, who relies on the facts – now more than ever. Thank you for listening. I’m Representative Mark Dion of Portland. 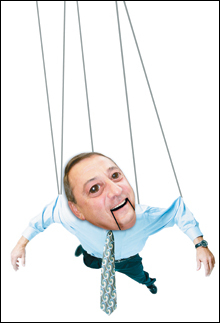 Image via 2/7/11 Portland Phoenix article “LePage’s secret puppeteers” by Colin Woodard. Occasionally it is always nice to read some of the smaller and more locally focused publications around the state, such as the Auburn based Twin City Times, to see what folks are supposedly saying. 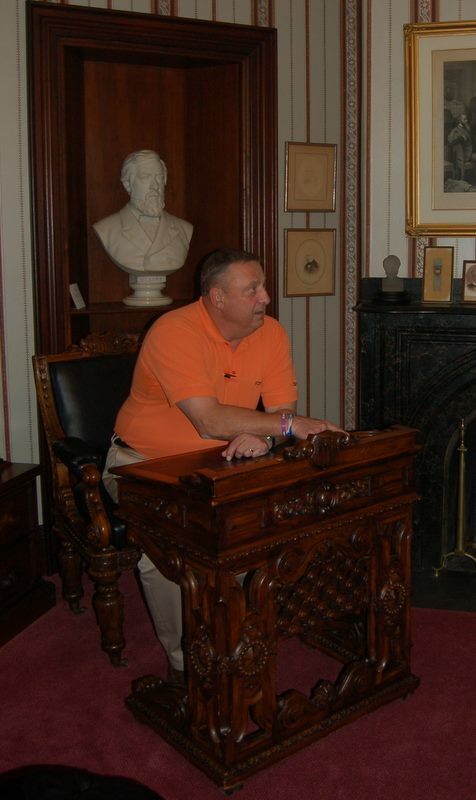 Governor Paul LePage sits at Governor James G. Blaine’s Congressional desk (10/12/13). 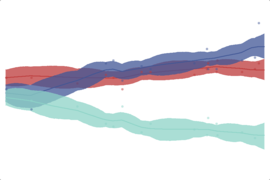 And now “Exhibit B”: Quite something now, isn’t it? The GOP in Maine must be just thrilled that Paul LePage, who has a history of meeting with dangerous fringe elements within his own party, er, “holds regular meetings with ALL of his constituents (wink wink)“, has somehow managed not to even be in the same room as THIS guy. So let’s wipe the copious spittle off “MacDonald’s” lil screed and work our way down through all of this. Oh where, oh where to begin? Oh where, oh where to begin? Those “elusive Central American children” are NOT at the Blaine House, nor does Paul LePage know where they are. President Obama may headline a Shenna Bellows for Senate fundraiser in Bar Harbor, which is currently overrun by filthy rich drunken Chinese tourists! Those “elusive Central American children” could be “gussying up” golf courses for Obama! Those “elusive Central American children” could be learning English at those golf courses! 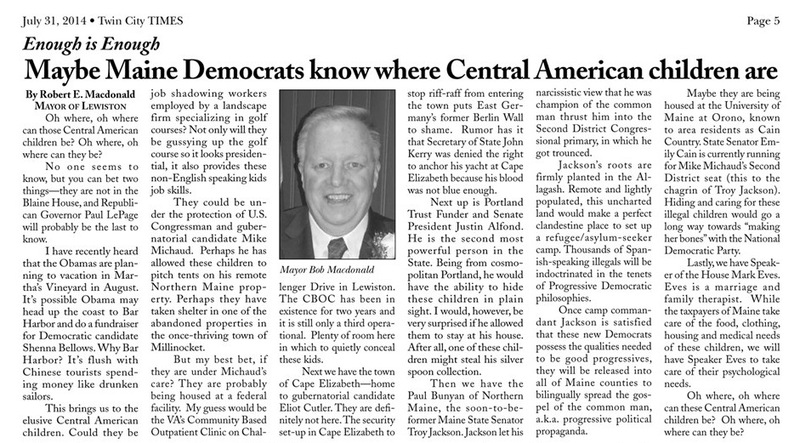 Those “elusive Central American children” could be hiding in tents on Democratic gubernatorial candidate Mike Michaud’s Northern Maine property! Those “elusive Central American children” could be hiding in an abandoned house in Millinocket! 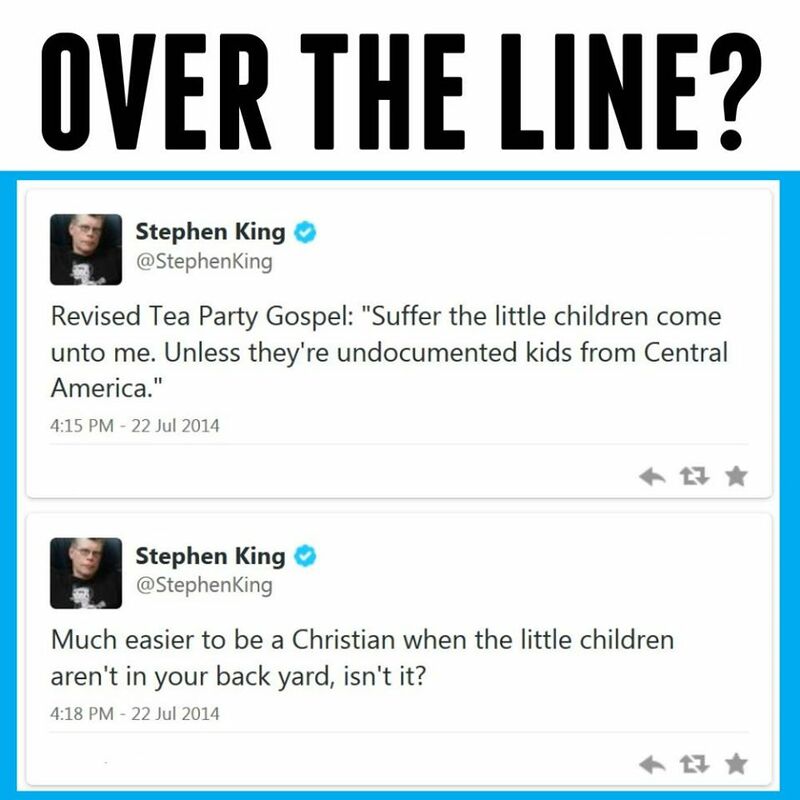 Those “elusive Central American children” could be housed in a federal facility! Those “elusive Central American children” could be in Macdonald’s own city of Lewiston! Those “elusive Central American children” could be at the VA’s Community Based Outpatient Clinic on Challenger Drive! But sheesh- do we know where the little tykes AREN’T? Those “elusive Central American children” ARE MOST DEFINITELY NOT in Cape Elizabeth. As the polls keep showing, NOBODY is in Cape Elizabeth and in fact, things are especially quiet there, as mogul Eliot Cutler’s numbers are doing a downhill mogul run of their own. Back to those “elusive Central American children”. Where were we? Oh yes… the next stop on the “Macdonald-LePage” crazy train is a short, but to “Macdonald” and “Macdonald” alone, logical run from Cape Elizabeth to Portland. Those “elusive Central American children” could be at Senate President Justin Alfond’s cosmopolitan house in Portland, stealing the silver spoons! Those “elusive Central American children” could be hiding with Paul Bunyan! Those “elusive Central American children” could be hiding with the “Paul Bunyan of Northern Maine”, Senate Majority Leader Troy Jackson! How do you figure THIS one, Governor LePage, er, “Mayor Macdonald”? Inquiring minds have got to know what the voices inside your head are saying. Could you elaborate a bit? 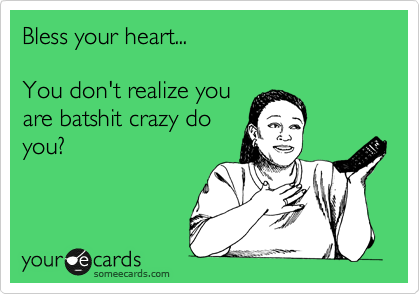 And we all know how you feel about folks from the County, Governor. More specifically, we know of the long standing feud you, er, “Governor LePage” have had with Senator Jackson. Oh, sorry- not “Governor LePage”, but “Lewiston Mayor Bob Macdonald”. Those “elusive Central American children” now “thousands of Spanish-speaking illegals”, will be “indoctrinated into the tenets of Progressive Democratic philosophies”. But wait, there is more about “Camp Commandant Jackson” and his nefarious plans. Okay, enough already. Seriously, just stop. The article goes on to look at suspects Emily Cain and Mark Eves, but you get the gist. Although to have whoever authored this article talk about psychological needs is remarkable. Now Paul LePage is claiming (online petition found on the LePage2014 website) HE is the one responsible for these changes in SNAP benefits, rather than acknowledging that LD 1343, the “Ticket to Work” bill sponsored by Speaker of the House Mark Eves passed into law in June (unsigned by LePage), was not his idea at all. LD 1343 mandated the “partnership between DHHS and DOL has led to an increased effort to help Mainers who receive Temporary Assistance for Needy Families benefits. Vocational assessments, connection to the Maine Career Centers and job banks and continued case management have led to a significant increase in the employment of TANF recipients” that LePage mentioned in his weekly address (see below). And then there is the matter of some pesky news stories and press releases about LD 1343 as well as the fact that DHHS presented testimony in support of LD 1343 at the 5/3/13 public hearing. 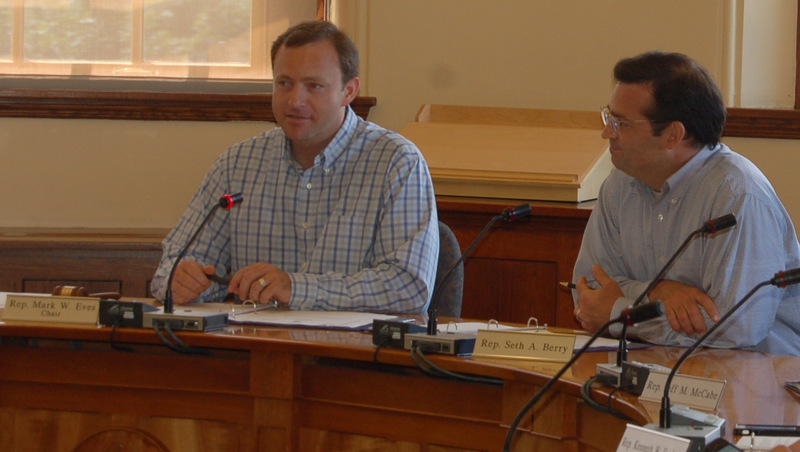 Speaker of the House Mark Eves and House Majority Leader Seth Berry during 7/24/14 Legislative Council meeting. 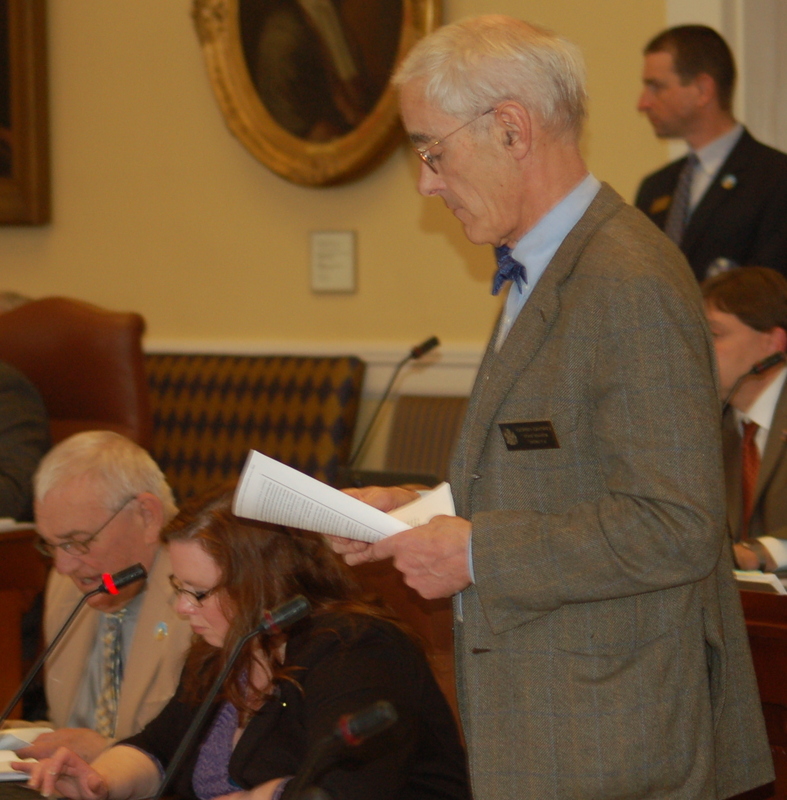 The Maine House on Friday unanimously approved a “Ticket to Work” bill that would reform Maine’s program for Temporary Assistance for Needy Families (TANF). The legislation, LD 1343, “An Act to Improve Work Readiness for Families facing Significant Barriers to Employment,” would ensure that TANF recipients received tools and training to enter the workforce and secure long-term employment. It directs the Department of Health and Human Services to provide a comprehensive assessment to identify education and other programs recipients need for job placement. The legislation also directs the Department to transition TANF recipients with severe disabilities and barriers to work from the state program and transition them to SSI/SSDI, reducing the cost to the state. A 2010 survey of TANF recipients conducted by the University of Maine found that 90 percent of recipients who were on the program for longer than five years faced a physical and mental health disability. The LePage administration testified in support of the measure during the public hearing on the bill. The Department of Health and Human Services is already in the process of selecting a contractor for the assessment services, which will be funded from federal block grant funds. A bill meant to more quickly move families from welfare to sustainable long-term employment has become law, the Democratic Speaker of the House Mark Eves said Tuesday. The so-called, “Ticket-to-Work” law provides resources and assessment for those receiving state and federal financial aid and looks to determine what specific training or educational programs would help individuals gain sustainable employment. Eves, of North Berwick, authored the bill, but the measure will go into effect without Republican Gov. Paul LePage’s signature. According to LePage, the state could be liable for up to $13 million in federal fines for not meeting national TANF guidelines from 2007 through 2010, though that amount can be reduced if Maine takes quick action. At issue is that the state did not meet federal requirements for the number of TANF recipients who were working while receiving benefits. House Speaker Mark Eves, D-North Berwick, said in a prepared statement Friday that Democrats are willing to work with LePage to improve anti-poverty programs, and already have. Last year, a “Ticket to Work” bill proposed by Eves, which helps Mainers access job training and other tools to secure long-term employment, went into law without LePage’s signature. Recipients of Food Supplement, more commonly known as Food Stamps, who are between ages 18 and 49, who have no dependents living with them, who are not pregnant and who are not disabled will have to meet the work participation requirement or the benefit will no longer be provided after three months. Nearly 12,000 people in the Food Supplement program are considered Able-Bodied Adults without Dependents’ by federal rules. Approximately $15 million a year in Food Supplemental benefits are provided to this group. In order to meet work requirements, those who fall into this category must work a minimum of 20 hours a week or volunteer for a community agency for a certain number of hours, depending upon the value of the current Food Supplement benefit received. Participation in the Maine Department of Labor’s (DOL) Competitive Skills Scholarship Program, which helps individuals gain skills that will lead to higher paying jobs, also fulfills the work requirement. I don’t believe that handing a check to someone will lift them out of poverty. I do believe in giving them the tools and the knowledge to help them succeed at their job. There are two ways to fight poverty. We can try to buy our way out of it, which makes liberals feel good. But doing that has grown our welfare system so much that we can no longer provide the appropriate level of care for Maine’s most vulnerable people. Or we can provide education and training to help guide a person toward a life of economic independence. If you hand someone money who hasn’t worked for it, 9 times out of 10, it’s going to be spent frivolously. But if you offer support and guidance to help someone get employed, the check they get from their hard work is apt to be spent more wisely. Our Administration has transformed welfare, turning the focus from welfare to work. We have intensified efforts to ensure people have the ability and access to learn job skills. During the last six months, a partnership between DHHS and DOL has led to an increased effort to help Mainers who receive Temporary Assistance for Needy Families benefits. Vocational assessments, connection to the Maine Career Centers and job banks and continued case management have led to a significant increase in the employment of TANF recipients. The Departments will take a similar approach to help Food Supplement recipients meet the work requirement by providing job-search training and support that focuses heavily on attaining employment. Effective October 1, the State will no longer seek a waiver from the federal government to eliminate the work requirement for Food Supplement benefits, more commonly known as food stamps. Instead, DHHS will abide by federal law that requires most able-bodied recipients work, provide volunteer services or be involved in a specialized work training program in order to receive food stamps. We expect this change will affect about 11,000 Mainers. However, this is not about cutting people off a program. Instead, this is common-sense reform that will put Mainers on a path to economic independence. The State has the resources, and it’s our job to let Mainers know that the help is available for them. Ultimately, we must prioritize our welfare system so we can protect our most needy. My administration has been focused on our children, elderly, disabled and mentally ill. These people are a priority, and we will continue to see that they are at the top of the list. Maine Attorney General Janet T. Mills has now issued a response to this morning’s weekly address of Governor LePage (see below). Within the letter is a detailed statement of why she and her office believe that the rules changes set forth by the administration are unconstitutional, the substantial risks that LePage places all Maine municipalities and citizens, and a detailed timeline of communications between her office, DHHS and that of the Governor. 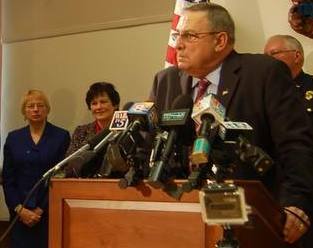 Note: Using more of his “My Way Or The Highway” approach, Governor Paul LePage has now forced all Maine municipalities to decide whether they will take his side (with a recent rule change in eligibility) or that of Attorney General Janet Mills (who along with ACLU of Maine maintains that the change is unconstitutional) in the ongoing fight over general assistance for undocumented immigrants. The letter seen below was sent to all Maine cities and towns late last week. I have always said Maine’s safety net should help our most needy citizens. These vulnerable Mainers include the elderly, children, disabled and mentally ill. Illegal aliens who choose to live in Maine are not our most vulnerable citizens. We need to take care of Mainers first. I think most Mainers would agree. During my first few days in office in 2011, I issued an Executive Order to repeal Maine’s status as a sanctuary state. In 2004 Democratic leadership banned state officials from asking people about their legal status when they requested benefits. My order rescinded that policy. Also in 2011, the State eliminated state welfare benefits for illegal immigrants. Last week, we took the next step. We told Maine towns and cities they will no longer get state funding to give to illegal aliens. Federal law prohibits states from providing General Assistance to illegal immigrants. This law was enacted in 1996, when President Clinton and the Republican Congress approved sweeping welfare reforms. Attorney General Janet Mills was appointed by the Democratic-led Legislature, and she works for them. Mills has been working aggressively to keep giving General Assistance to illegal aliens. What about “illegal” doesn’t she understand? I find it inexplicable that the state’s top law enforcement official would encourage municipalities to violate federal law. It’s really quite simple. Federal law prohibits state reimbursement for illegal immigrants. We are just enforcing the federal law. Local taxpayers must speak for themselves. I urge all Mainers to tell your city councilors and selectmen to stop handing out your money to illegals. By following federal law and eliminating welfare abuse, we can provide a safety net for our most vulnerable. We will be able to use our resources more effectively and efficiently to better provide Mainers a path to economic independence. 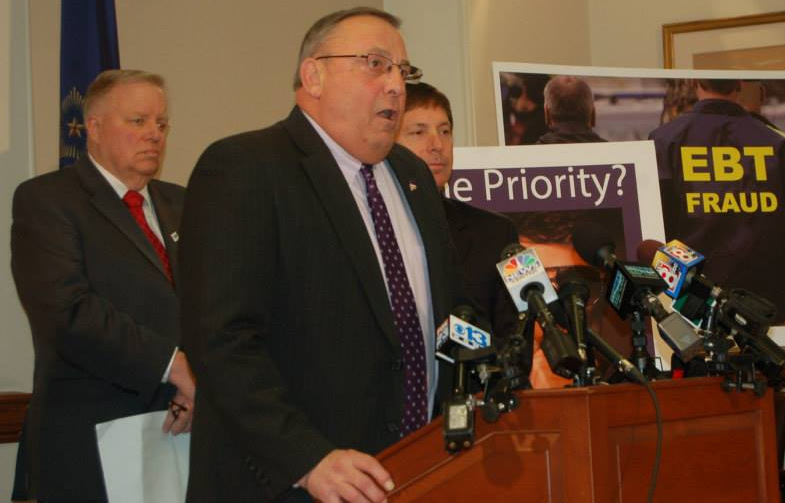 In his office, Governor LePage rings alarm bells on a daily basis about fraud and abuse. But his choice of when to sound the alarm is selective. He does not ring the alarm for all fraud and abuse, only when he talks about the poor. Good Morning. 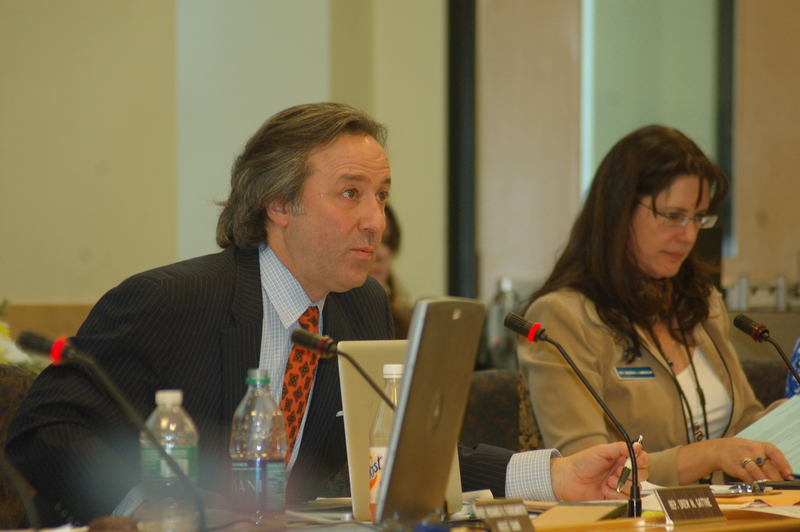 This is State Senator Geoff Gratwick of Bangor. Make no mistake, fraud and abuse, of any sort, is wrong; it is cheating, it is stealing. Where ever it exists, it must be prosecuted–and our laws must be strong. Here’s the thing: our laws are strong. The Maine Attorney General’s office and Department of Health and Human Services have active divisions dedicated to investigating and prosecuting fraud and abuse. In fact, in the past several years, lawmakers passed a measure giving the state an additional $700,000 per year to fight fraud. We hired an additional seven fraud investigators so we now have a total of 17. To put that in perspective, the state only has 12 investigators inspecting the safety of daycare centers for infants and children in Maine. And so it seems, Maine has all the tools needed to investigate potential cases of fraud. While Governor LePage is holding press conferences with glossy photos of EBT cards, a closer look at where recovered funds actually come from gives a more accurate picture of the true extent of the problem. And, it suggests that perhaps the Governor is more interested in politics than in protecting the public purse in his pursuit of fraud and abuse. Over the last four years, from 2010 to 2014, Maine has prosecuted and recovered funds related to fraud and abuse by individuals and large corporations. Here are the facts: you decide which group deserves more attention. Maine, along with the federal government, has prosecuted 48 medical and pharmaceutical corporations and recovered $55 MILLION DOLLARS. To their shame, these businesses include some of the largest and best known medical companies in the country – Walgreens, Johnson and Johnson, Avandia, and Merck. The state also prosecuted 37 individuals for abuse of SNAP and TANF benefits. SNAP is the Supplemental Nutrition Assistance Plan (SNAP) and TANF is Temporary Assistance for Needy Families. Recent data from DHHS indicates that less than half of one percent of folks, that is one in every 200 people receiving benefits have abused these programs. The guilty folks have been sentenced to jail for up to a year and returned $489,000 to the state treasury. The evidence simply does not support accusations of widespread problems. So compare: big corporations fraudulently took $55 MILLION DOLLARS, and individuals fraudulently took less than HALF a MILLION DOLLARS. Make no mistake. No amount of fraud is acceptable. But in a time of scarce resources, is it unacceptable that the Governor is spending more than $700,000 to recover less than $500,000 from individuals. The Governor has focused our attention solely on the low income people in front of us in the grocery line buying food with an EBT card because they are an easy target. It’s easier to rail against the poor than it is to make sure our system works for all Mainers. Just this week, Senate Democrats voted in support of a measure that would have banned the so-called “Prohibited Five” from purchase with TANF dollars. The items on this list include alcohol, cigarettes, lottery tickets, bail, and strip clubs. It makes common sense that in order for a program to work effectively and help families and children in crisis get back on their feet, it is essential that these dollars not go toward things like alcohol and cigarettes. But for all the tough talk, not a single Republican supported the measure to ban the “Prohibited Five”–even though it was nearly identical to a bill sponsored by Governor LePage. One has to wonder why. The Governor’s war on the poor is a cynical political campaign strategy, a witch hunt; he has chosen to demonize people who are poor–even if they are the working poor- for political advantage. The poor and the powerless have been easy scapegoats since history began. It easier to stoke popular fear and resentment of the ‘other’, to blame the victim, than it is to find real solutions to difficult problems. The only way we can curb fraud and abuse by individuals is by using the proven levers that help people escape poverty: education, jobs and health care. The only way we can curb corporate abuse is to have a government that functions well. This is a job that must involve us all, including the Governor. Thank you for listening. 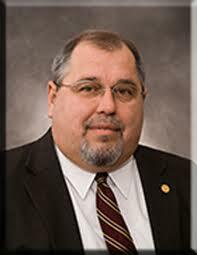 This is State Senator Geoff Gratwick. Have a great spring weekend. 1. LD 1829, “An Act To Require the Department of Health and Human Services To Report Annually on Investigations and Prosecutions of False Claims Made under the MaineCare, Temporary Assistance for Needy Families and Food Supplement Programs”. 2. LD 1822, “An Act To Increase Integrity in the Temporary Assistance for Needy Families Program through Restriction of Expenditures”. 3. LD 1820, “An Act To Reduce Abuse of the Temporary Assistance for Needy Families Program through Restriction of Electronic Benefits Transfers”. 4. LD 1842, “An Act To Amend the Laws Governing the Temporary Assistance for Needy Families Program”. 5. LD 1815, “An Act To Require a Work Search for Job-ready Applicants for Benefits under the Temporary Assistance for Needy Families Program”. 6. LD 1844, “An Act To Increase Local Responsibility for General Assistance”. “The governor maintains that “millions” of dollars in Temporary Assistance for Needy Families EBT card transactions must be fraudulent because, well, they were spent out of state. Yet even though it’s perfectly legal to spend TANF funds beyond Maine, the governor is determined to eliminate the transactions entirely. And he isn’t letting the facts get in the way of a good election year issue. Upon hearing about the bills initially and their intent, Maine Attorney General Janet Mills sent a letter last month to Democratic leaders, urging them to “put this matter into perspective”, “go after big fish as well as small” and “not elevate one over another”. Her 3 page missive is below. To that end, HHS Committee member Rep. Drew Gattine (D-Westbrook) put forth a bill, LD 1829 “An Act To Require the Department of Health and Human Services To Report Annually on Investigations and Prosecutions of False Claims Made under the MaineCare, Temporary Assistance for Needy Families and Food Supplement Programs”, to combat the claims of the Governor’s office of fraud and do exactly what the attorney general urged. HHS Committee members Rep. Drew Gattine (D-Westbrook) and Rep. Deb Sanderson (R-Chelsea) listen to testimony during the public hearings for LDs 1815, 1820, 1822 and 1842. According to a report in the Portland Press Herald, despite the effort, the number of successful prosecutions has increased from eight in 2010, to 10 in 2011, to 15 in 2012. The amount of restitution that courts have ordered increased from $92,339 in 2010 to $104,341 in 2012. In 2012, only 13 people were convicted of welfare fraud . 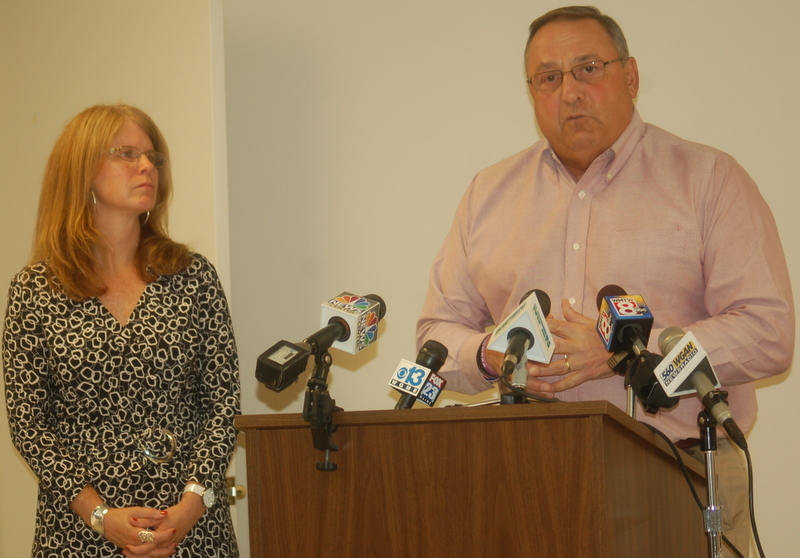 Under Governor Paul LePage, the Department of Health and Human Services has been plagued by chronic mismanagement and budget shortfalls that have cost taxpayers millions of dollars. The Department has squandered taxpayer dollars on a failed MaineCare rides contract and the controversial Alexander report, it has overpaid long-term care providers, and lost the state’s certification and federal funding for the Riverview Psychiatric Center. The Department is also under scrutiny for document shredding at the CDC and tampering with the public bidding process for smoking cessation dollars. Gattine has a proposed a measure, LD 1829, which would increase accountability and prevent fraud in the state’s anti-poverty and Medicaid programs. The bill would require an annual program integrity report on all fraud waste and abuse activities including provider and consumer prosecutions and on-going DHHS management issues. “We need to shed light on what’s happening at the Department,” said Gattine. The bill as amended passed the House last week, but only by a 92-52 margin. It next goes before the Senate this afternoon, as do LDs 1815, 1820, 1822 and 1842.